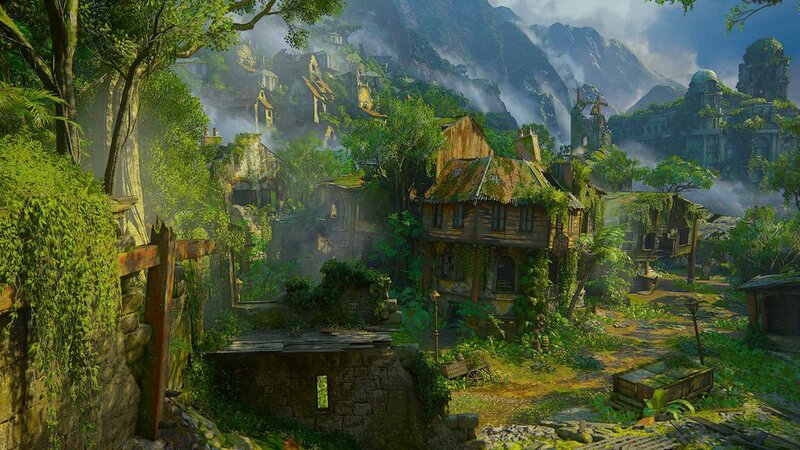 In the game Uncharted 4: A Thieves End, the main protagonest Nathan Drake, and his brother Samuel Drake set off on an adventure to find the lost Pirate Utopian City known as Libertalia. Through a series of clues that led the pair to Scotland, after finding a cross of Saint Dismas in a pirate prison cell, where they found the "grave" of Pirate Henry Avery. The clues at the grave then led the pair to a series of islands off the coast of Madagascar. It is one of of these islands, hidden away beneth dense jungle, the two find the lost city of Libertalia. In the plot, Libertalia was founded by not only Henry Avery, but he was joined by other famous pirates such as Thomas Tew, Adam Bladrige, Anne Bonny, and Christopher Condent. Together, these pirates founded and created Libertalia as a utopia and safe hideaway for all pirates who were able to find it. The setup of Libertalia in Uncharted 4 inclued various small guard towers around the outskirts of the island, a small, shanty type city on one half of the island, and a walled in, high classed city for higher up pirates on the other half of the island, which included a port to ship treasuer in and out of the settlement. Libertalia and all of its inhabitants followed a very specific pirate code which called for everyone to defend Libertalia in case of an attack, and all those who abanded the settlement would be executed. The civilization ultimatly failed when the civilians started a civil war when they discovered that the founding pirates created a plan to take all the civilizations gold, and escape to live out lavish lifestyles by themselves. As the war was going on, the founding pirates were invided to Tew's manor for a celebratory dinner, but were poisened and killed by Avery and Tew, who wanted the treasure all for themselves. In the end, neither Tew nor Avery made it off the island as they turned on each other on the ship filled with all the treasure of Libertalia, making the island their final resting place.